As if the process of moving house wasn’t stressful enough already, add to that the fact that you’re moving your family and all worldly possessions to another country and you could be looking at a major headache. There are a lot of things to take into consideration when upping sticks and moving to pastures new. If you’re moving to an European Economic Area (EEA) country things will be easier, but a trip to the British embassy is in order if you want to move further afield. Language barrier: Perhaps the most obvious thing to consider when moving abroad is the language gap. Ideally you will learn as much of your new native tongue as possible before you head out, but that’s not always feasible. At the very least get a phrasebook to help you by as you pick up the lingo. A lot of European countries have good conversational English, but they’ll appreciate it if you make the effort to converse in their mother tongue. Culture shock: Every country is different, and what’s OK in Oslo might be taboo in Turkey. Getting a good guide book can help you know what to expect. Be careful what you take on your move as well, certain countries don’t allow alcohol and bringing some bottles could land you in trouble. The key point here is to do your research beforehand to make sure your European move comes off without a hitch. Health: You need to know your welfare rights abroad, some benefits are not payable if you move out of the UK. Private medical insurance is recommended to cover any issues you might have in your new home. An EHIC card can substantially reduce the cost of health care in European Economic Area Countries. You've chosen the destination, you’ve set a date now you’re ready to pack up and make the move, but first you need to arrange an appropriate transporter for your emigration. Arranging removals to Europe is much the same as moving within your own boarders, you have the same considerations to make in terms of insurance, level of service and accreditation, but there are extra things to think about when moving abroad. The distance: Try to coordinate your arrival with the arrival of all your possessions as you can. Delays to either you or your things can cause major problems when one arrive without the other. It’s unlikely you’ll be able to time it perfectly, so temporary accommodation is usually necessary at both ends. Disruptions to your move: Depending on how far you’re moving, more issues could potentially arise. Make sure that you stay ahead of news and weather events that could interrupt your move, any major issues could seriously affect your proposed moving date. Language, again: If you’re using a UK company that speaks your language then you shouldn't have too many issues moving, but if you’re going to use a removals service from the country you’re moving to, you might want to make sure the driver shares a common tongue, or it might be time to get the phrasebook back out. Prices for European moves are going to be more than a domestic relocation, there’s no two ways about it. The further you’re going the more you can expect to pay, but you can save on your move if you find a transporter who’s going your way anyway! We can help you save money on removals to Europe by giving you the opportunity to compare different international moving companies going there anyway. To get a quote on your European move with Shiply all you have to do is list the details of your move with us, then, any moving company out of the thousands registered with us will be able to quote a price to complete your move. You’ll be able to compare European removal companies based on their price quote and the feedback that they have from other Shiply users. When your precious belongings finally roll up and meet you at your new home you’ll need to make sure everything is in order. You’ll need to check and inventory your belongings and make cursory checks that nothing looks damaged (you’ll be able to query later if you find anything broken). Depending on the level of service you’ve arranged your driver might help you unloading. Once you’re settled in your new European home, you've found all the hot spots, restaurants and other local amenities we’d appreciate if you could provide some feedback. Reviews of our transporters on Shiply are important to use as they help our users in choosing the most reliable moving companies, a short written review or +/- points only take a few seconds and help keep our service up to date. 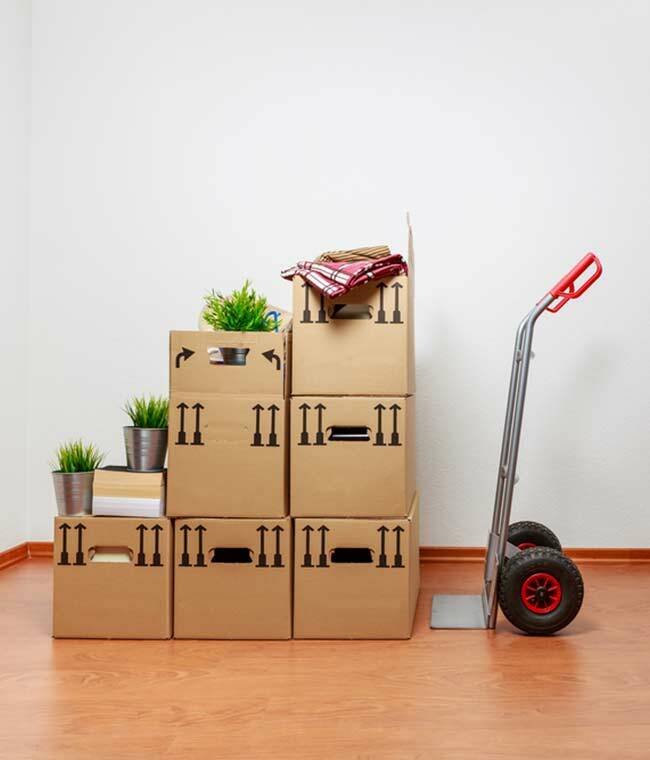 We hope you enjoy your new home, but if you ever want to move again we’re sure you can find a moving company going your way.